Sometimes we can discover some really interesting obscure sites - this is one of them! 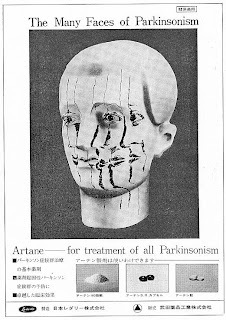 Featuring Japanese psychiatric-related adverts. Some really funky looking images, spanning from the 1920s to 2006. My response: head-scratching. I enjoyed the gallery! Have to admit, this is sure different and very interesting.. Thanks for sharing your blog on etsy. I love your artwork!